Are you worried about stretch marks during or after your pregnancy? Using coconut oil for stretch marks is a great, natural way to prevent them and reduce their appearance. This article will explain why and includes some incredible expert tips on how to use coconut oil effectively. Does Coconut Oil Help Stretch Marks? Your body goes through all sorts of transformations during pregnancy. Weight gain and a growing baby belly are some of the most noticeable. Stretch marks are almost guaranteed to happen as a result. Many mamas can, and should, see these marks (aka “tiger stripes”!) as a badge of pride. Nevertheless, the search for effective products to prevent or reduce the appearance of stretch marks is still a hot topic among expectant and new mommies. As mothers become more health conscious, they are searching for more natural products. Right now, Coconut oil is all the rage in the natural foods and holistic medicine community. It is renowned for its nourishing properties, among other things. I can’t tell you how many uses I've seen for coconut oil in crunchy mom forums online! Yes, but is coconut oil good for stretch marks? The short answer is Yes! Below, I’ll briefly discuss what causes stretch marks. I'll also talk about some of the properties of coconut oil which make it an excellent choice as a natural treatment for stretch marks. I'll also discuss expert tips on how to use coconut oil effectively. The basic cause of stretch marks is fairly obvious: rapid growth and the expansion of skin. The underlying causes include tearing of the dermis, which is the middle skin layer. This consequently makes the underlying layers of skin visible. The result is a purple-looking mark that typically fades into a white or silver color. The result is similar to scar tissue. Consequently, once stretch marks appear, they cannot be completely removed. However, it is possible help prevent and lessen the severity of stretch marks. You can also help reduce the appearance of existing ones. There are a number of different strategies for this. 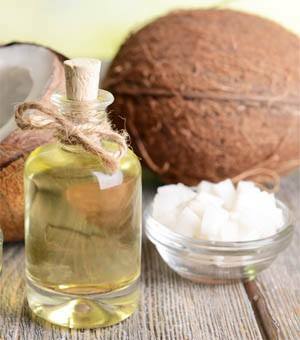 How is coconut oil effective in the battle against stretch marks? Several properties could be instrumental. These properties include a healthy saturated fats and acids, which help to stimulate cell turnover and build collagen, deep moisturizing capabilities that improve hydration and skin elasticity, antioxidants for healing skin damage, and overall anti-inflammatory properties. I also personally use coconut oil when my son has a patch of eczema for many of the same reasons! YouTube has lots of videos with moms that used coconut oil to prevent stretch marks or reduce existing ones. For example, here's a great video below. Sadly, few to no studies exist yet that look at the effectiveness of coconut oil for stretch marks during pregnancy. However, there are studies that have revealed the general healing properties of coconut oil on our skin. For example, one study looked at the application of virgin coconut oil on wounds in rats. 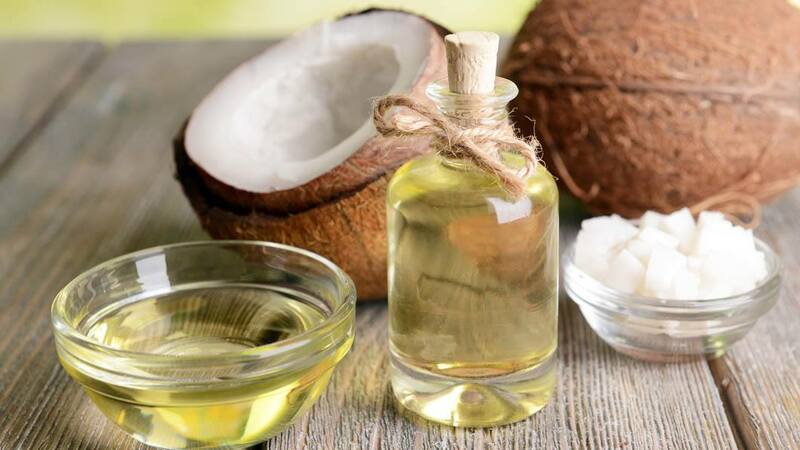 The study found that wounds treated with coconut oil healed faster and more completely than those that were not. These findings indicate that coconut oil has properties that are effective at healing stretch marks too. The studies also indicate that the properties of coconut oil are beneficial for general skin care! The key to winning the war against stretch marks? Preventing them in the first place. Well-hydrated skin stretches more easily and any stretchmarks that do appear will be less severe. Coconut oil is highly effective at preventing stretch marks according to anecdotal evidence. This is largely because of its efficacy as a moisturizer. In addition, coconut oil is capable of penetrating more deeply into the skin than other oils. Many women have used coconut oil as a preventative measure during and after pregnancy. A friend of mine used coconut oil from 5 weeks into her pregnancy to the day that she gave birth. Her stretchmarks are not noticeable unless you look extremely close. It’s important to keep in mind that there is a hereditary factor to getting stretch marks. If your relatives had issues with stretch marks, you may too. However, don't fret! Ask them what their preventive routine was and what results they experienced. There is a decent amount of information online that supports the effectiveness of coconut oil for stretch mark prevention, so why not try it? In addition, rubbing coconut oil on stretch marks when they first appear can help the surrounding skin to heal. In order maximally reduce the appearance of stretch marks, you need to apply simple coconut oil religiously for extended periods (3+ months!). It’s probably not the most effective option, but it is all natural, readily available, and relatively inexpensive. It is probably not a bad thing to try, especially if your stretch marks are not particularly bothersome to you. While Bio Oil is extremely popular, it's also more expensive than coconut oil. However, coconut oil’s effectiveness against existing stretch marks may be limited on its own. However, if used in conjunction with other natural remedies, it can be an integral and important part of an anti-stretch mark regimen. There are a ton of recipes available online for DIY coconut-oil-based stretch mark creams that can up the ante for prevention or help reduce existing marks. 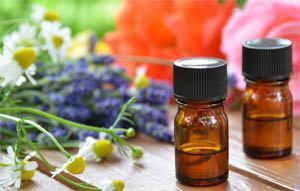 Essential oils are a great complementary ingredient. Like coconut oil, they are another favorite of the natural parenting community. Lavender, neroli, patchouli, rosehip, lemon, and helichrysum essential oils are just a few. You can use these with coconut oil, and typically some shea butter, to make an at-home stretch mark cream. Frankincense is another very popular and extremely versatile oil that is also useful for stretch marks in a coconut-oil-based cream. If you want to use essential oils, make sure to store them properly so that they last. Remember, it is extremely important to exercise caution when using essential oils during pregnancy or while nursing! Be sure to consult your doctor before using them. Also, be cautious when taking advice from others before doing your own research. You never know if their recommendations are unsafe! Diet can also have a big impact, especially on stretch mark prevention. A diet high in healthy fats, like fish oils and coconut oil, can prep the body to handle pregnancy-related changes more easily. It’s also important to stay hydrated! Hydrated skin is healthier and more elastic, which helps to prevent stretch marks from forming. It’s important to remember that genetics and other factors have a big impact on whether or not you are susceptible to stretch marks. This is true even if you lather up with coconut oil daily during and after your pregnancy, buy the most expensive cream on the market, or simply stick to your normal skin care routine. Everyone will have different responses to treatments, and topical skin remedies are no different. However, coconut oil is a promising option to help prevent and reduce stretch marks. In the event that you end up with some noticeable “tiger stripes”, embrace them! After you've rubbed on a little coconut oil, of course!